For the first time since he was accused of alleged COMB (creepy old man behavior) on the set of Transparent back in November, Jeffrey Tambor is speaking, and he’s got a lot to say. Much like the statements that were released after the accusations by his former assistant Van Barnes and actress Trace Lysette, Jeffrey tells The Hollywood Reporter that the only crime he’s guilty of is acting like an entitled prick with anger issues, and that’s that. Back in February, Amazon let it be known that there would no longer be a reserved spot in their parking lot for Jeffrey Tambor after completing an investigation into allegations that he harassed several women on the set of Transparent. Amazon and Transparent co-creator Jill Soloway clearly didn’t want anything else to do with Jeffrey. Netflix, on the other hand, doesn’t share the same feelings. 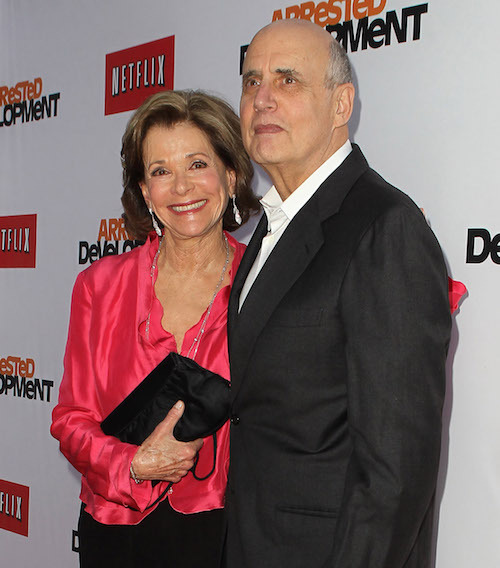 A spokesperson for Netflix confirmed to Entertainment Weekly that Jeffrey will be appear in the fifth season of Arrested Development. After several months spent investigating the sexual harassment allegations against Jeffrey Tambor, a rep for Transparent confirmed what we all kind of expected would happen: that they’re letting him go. Jeffrey Tambor has responded to his firing, and he’s got a lot to say.